Everyone likes money, correct? You don’t want to waste it, you want the most value from the amount you have, and for the most part you don’t want to spend it. Vehicles will be the second most expensive investment we make in our lives next to paying for housing (for us that can’t afford to buy an island). Cars are a rite of passage, but they don’t come cheap. 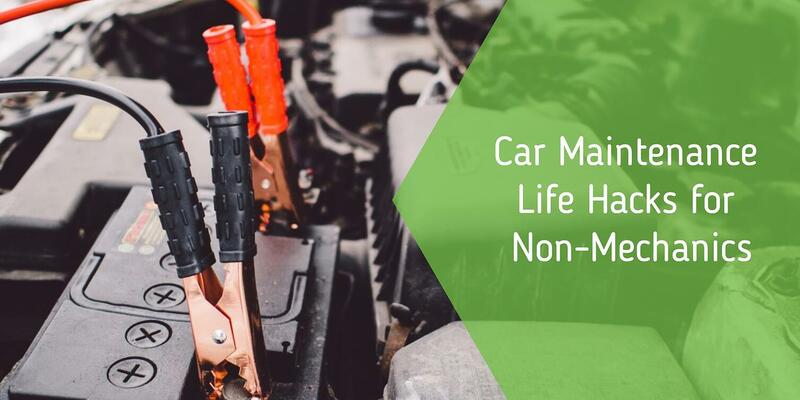 Here are some life hacks that can not only extend the life of your vehicles, but could also save a life down the road! You should be cleaning out your vehicle every 1-2 weeks. This lengthens the longevity of your seats and car mats but also avoids those awkward “what is that smell?” and “oh my gosh what did I just sit in?” moments. Shake out your car mats. You can literally do this every couple of days and you'll be astounded at how much better your interior will look. You'll need a high powered vacuum when cleaning your car. Often they can be located at car washes and gas stations. Personal ones tend to be a little under powered, so the quarters you'll spend on public ones will be well spent. Knock your shoes together before getting into the car so sand, rain, snow and dirt doesn't collect in the cabin. Especially damaging is the salt laid down during the winter, which if left unchecked can start to eat through your floor! Wipe the interior (wheel, gear shift, dashboard, gauges, etc.) with a microfiber cloth and your preferred car cleaning fluid. You can get both of these things at a dollar store. Often paper towels or baby wipes will leave behind residue. Don't forget, after cleaning the windows on the outside, use a glass cleaner on the inside too! Cleaning the inner windshield increases visibility and helps fight glare. Dirty headlights? Clean them with toothpaste (squeeze, "lather," rinse with water, repeat) or bug spray (spray, let sit for 10 to 20 seconds, then wipe). Get your car washed once a month. Rain doesn't count! If your undercarriage isn't cleaned often, corrosion can develop which isn't ascetically pleasing and if left unchecked too long can break down your car's frame, wheels and brakes! Walk around your car every time before you go driving. You don’t have to spend more than a few seconds doing this. The most obvious things to look for are damages to your car’s body, making sure the person you parked next to didn’t slam their door into yours, etc. Record anything for insurance purposes. Take a lot of pictures! After walking around, take a peek under the car. Leaking fluids can spell disaster once you get going. If something looks like it's leaking but is clear, thin, and doesn’t smell, it’s most likely just water that has condensed because of the air conditioner. One of the easiest things (and the only technical thing in this post) that you can do to maintain your car is to see an eye on your tires. Two things to look for here: inflation and tire tread. Inflation: visually inspect your tires every time you get into and out of your car. If a tire looks low, it most likely is. Keep a tire pressure gauge (again, dollar store item) handy in your glove compartment for a quick check. You’ll know how much pressure (in PSI) your tire needs because it says it right on the tire! Tread: do the “penny test” – take a US penny and stick it into your tire’s tread (the ridges on the outside) with Lincoln upside-down and facing you. If the tread comes up to his hairline, you’re good to go (the DMV says it needs to be 2/32nds of an inch), if it doesn’t, you have “bald” tires which decrease your mpg, reduces traction, and increases your chances of hydroplaning! In CT it's illegal to charge for air during business hours. Stop using the coin op! Just walk into the station and ask to fill up your tires. Cars run on small, controlled explosions fueled by liquid dinosaurs. They can travel extremely fast, weigh upwards of several thousand pounds, and kill over 30,000 people a year in the US. Understandably, they are a little intimidating. The best thing you can do, if you don’t have a mechanical inclination, is ensure your car gets its oil changed when it should. The oil of a car is like the blood in a person. While our bodies filter and replace our blood on a regular basis, our cars can’t say the same. Regular oil changes will affect most things your car does, so don’t put them off! With regular oil get one every 3 months or 3,000 miles. Keeping things simple, when you pop your hood simply take a look at everything. You don’t need to know what all the pieces do, but it’s fairly easy to see if things look good. Are the hoses crumbling? Does the belt leave grit when you run your finger along it? Is anything leaking? How old is the battery (they usually need replacement every 5 years)? Cleanliness isn’t just for the interior! Clean out any debris like leaves, pine needles, sticks, and other small bits of nature that build up under your hood when you see them. There are plenty of instances where cars have been set ablaze by a car running hot and an inopportune squirrel nest here in Connecticut! Remember, much of CT is woods! With these simple tips your vehicle should run for longer, saving you headaches and money along the way. Want to learn about car maintenance from the experts? Take a Driver's Education course with the Best Driving School in Connecticut, The Next Street!